Frequently when troubleshooting or cleaning PCs (ah, the joys of small business IT) it’s useful to have a bundle of tools that you can use. I generally use multiboot antivirus CDs created with Shardana Antivirus Rescue Disc Utility (SARDU) with additional utilities put in the Extras directory, but sometimes it’s hard to beat the convenience of a USB flash drive. Unfortunately very few flash drives still have the hardware write protect switch that was common years ago. Here’s a listing of drives that still include that hardware write protection, along with some other options that might work though not as well. This listing is based on reports from several discussion boards in 2009-2010 as well as a list prepared and maintained by c’t Magazine (German) (or via Google Translate). Where available I provide links to the manufacturers and possibly to stores where the drives are available. Please comment with any corrections or additional drives to be added to the list. There are currently only seven models from four manufacturers readily available in the USA; I don’t have good data for what’s available outside the USA but will include any drives that I’m aware of regardless of US availability. Links to online suppliers are at the end of this article. There can be wide variations in speed between drives (e.g. USB Flash Drive Comparison – 21 Tested and Compared, which does not include any of the drives listed here but is informative), so check speed ratings and reviews where available. I mention some speed tests reported to USB Flash Drive Speed Tests below, if you have a flash drive feel free to check that website, test the drive and report the results. There is a list with links to online stores that carry these drives at the end of this article. Drives not included in that list are ones that I didn’t find online sellers for. The stores used are Amazon, Newegg and the multi-store aggregator Google Products. I have found very few of these drives in retail/physical stores. I’ve seen the Imation Clip in a few places that catered to students and the Imation Pivot and Swivel (both older model and newer) are carried in the CDW showroom near Chicago; beyond that I have not found the other drives locally available. The national computer (TigerDirect/CompUSA, Frys) and electronics (Best Buy) chains don’t list most of these drives as available online and for the most part don’t seem to carry many drives from these manufacturers at all (TigerDirect/CompUSA carries the Kanguru Defender Elites). The Hama FlashPen “Fancy” (2GB, 4GB, 8GB, 16GB) appears to be primarily available in Europe. Only the 16GB gives speed figures, and its read speed of 6MB/sec seems low. According to c’t (link above) these are the same as the TrekStor USB-Stick CS described below. Warning Note: Based on the experiences (April 2010) of the c’t editors, the pictures of the Hama drives are incorrect and only a small percentage have a write-protect switch.It’s not clear to me whether this also applies to the TrekStor drive; it’s possible that the early Hama drives were resold TrekStor drives and the later ones are manufactured separately. Imation has two product lines with write protection switches, the Pivot (now discontinued) and the Clip. These should be widely available online and might be available in some stores. The Pivot appears to be the physically smallest of the available drives with write protection; the Clip is smaller and will fit tighter spaces but has a large protective carrier. The Pivot Plus does not list a hardware write protect switch on the website but does in the brochure; it also utilizes hardware-based encryption that may cause it to be incompatible with non-Windows systems. Imation’s Swivel (not Swivel Pro) line used to have a write protect switch but it appears to have been removed on the current versions. The older versions have a gray/silver body, a dark swivel and a small LED on the side opposite the write-protect switch; the newer version without the write-protect switch has a black body, a black swivel and a LED in the center. Note that the Swivel Pro line resembles the older Swivel line but has a LED in the center and does not have a write-protect switch. Because of this change I do not recommend purchasing the Swivel online unless you’ve seen a picture of the actual product you’re getting. Imation’s Defender line claims protection against malware in some models, but that appears to be based on requiring Windows or Mac encryption software to even access the drive. The user guide for the Defender F100/F150 does not mention hardware write protection, only the encryption software. The Defender F50 Pivot flash drive might have a hardware write protection switch – the Imation website shows a picture with one but does not mention it in the drive specifications; searches for the Defender F50 drive elsewhere turn up a variety of different images indicating that there may be multiple models available so I can’t recommend purchasing sight-unseen. Imation does not provide read/write speed information on their website. Third-party testing of a 1GB Clip indicated a read speed of ~17MB/sec and a write speed of ~6MB/sec. The Kanguru FlashBlu 2 includes a write-protect switch on the side. Capacity up to 128GB, read speed up to 20MB/sec and write speed up to 13MB/sec. The older FlashBlu drives (silver instead of blue) might have a switch based on the answer to a knowledgebase question, but there’s no other information about them online. Some vendors may still have the older drives. Kanguru’s Defender Elite includes a write-protect switch and hardware encryption, but may not be compatible with all operating systems if encryption is used.It’s not clear whether it can be used without the encryption, but it’s expensive for a plain flash drive because you’re paying for the encryption hardware. The Defender Elite lists read speeds of 28-33MB/sec (20-33 for 32-64GB) and write speeds of 10-13MB/sec. Update 2012-04-13: Only the base U339 model is still listed as available in this product line, and none of PQI’s other USB flash drives appear to have a write-protect switch. All of the other drives with switches are listed as discontinued by retailers and have disappeared from the PQI website. PQI does not provide complete speed information on their website. The U339XT is listed as having a read speed up to 32MB/sec and a write speed up to 5MB/sec. The U339 Pro is listed as having a read speed up to 30MB/sec and a write speed up to 20MB/sec. The U339H is described as having “dual channel technology” and being “one of the fastest USB flash drives currently on the market” but does not provide actual speed information. The U339V (USB 3.0, 8-64GB) does not list a write-protect switch in its features, and no switch is visible in the photos they provide. RiDATA EZDrive Slider (ID10) and Twister (ID15) models both have write protection switches. The Twister’s appears to be on the side of the drive; the Slider’s appears to be next to the slider button which means it’s protected when the slider is closed. Reviews of these are mixed, I’ve seen complaints about write speed so check the stats or reviews first if you’re going to be moving a lot data. RITEK does not provide speed information on their website. Trekstor (from c’t) – German manufacturer. USB-Stick CS product line features a write-protect switch (the same models can also be purchased in bulk with your logo printed on them as the USB-Stick yourLogo in quantities of 100+). Limited availability online. Website is multi-language and includes an interactive map showing countries with distributors. The TrekstorUSA (Thumbdrive) and Trek2000.com.sg websites do not appear to have been updated for 5-6 years. Buffalo FireStix Type R (from c’t) – not listed on their website, but reportedly still available. Limited availability online. FireStix-branded RAM appears to be sold in Europe but not in the USA, but the European sites don’t list the flash drives. Flash drive part numbers for 2/4GB appear to be RUF2-R2G-S and RUF2-R4G-S.
I’ve seen mention of drives from Maxell with hardware write protection, but they do not list such drives on their USA website. If they are still available or are available internationally, please contact me with availability and part/model numbers. Ap.Tech is listed as having drives, but their website is nothing but a Flash intro. Transcend sells industrial flash drives with write protect switches, these will likely need to be purchased directly from them. These drives do not have a standard USB plug, they are designed to connect to a 10-pin USB socket on a motherboard (take a look at the motherboard connector for front-panel USB ports on a regular PC for an example). Their product listing page is at http://www.transcendusa.com/Products/Modlist.asp?CatNo=122 for the USA, but they are also available from other international sites. Before purchasing read through the datasheet for the drives, available on Transcend’s website(s). Victorinox SwissFlash (combination pocket knife & flash drive) drives are available but expensive. I’ll have more details up soon. Opti3 / EasyDisk.com / EZDisk.com lists drives in capacities up to 4GB, but does not appear to have actually been updated since 2004. If you wish to place an order for a few 4GB drive for only $370/each, I’m sure they’ll manage to get drives of that capacity with write protect switches to you even if they have to buy Kanguru drives for $20/each from Amazon. A proper, matched, switch on the socket side will indicate to the host that the card is write-protected or not. It is the responsibility of the host to protect the card. The position of the write protect switch is unknown to the internal circuitry of the card. Basically this means that either a) cheap card readers that lack the sensor or b) operating systems or malware that don’t respect the “please don’t write to this disk” flag can write to the drive. While this may not be likely, it’s also not as secure as you might think based on the presence of that switch. There are some “Industrial” CompactFlash cards that include a hardware write protect switch, but they have limited availability. They are made by PQI and RITEK/RiDATA. The earliest Sony MemorySticks had a hardware “Lock” switch, but it disappeared around the same time the capacity exceeded 128MB. There are a few software approaches that you can use in a pinch, but they’re mostly Windows-specific and it may be possible to bypass them – even if it seems unlikely. Looking for a USB Flash Drive with Read Only or Write Protect Switch describes how to create a customized U3 partition based on an ISO file that will mount as a virtual CD-ROM. This will prevent items from being deleted from that virtual CD, but is not ideal for a system cleaning disk because the second partition can still be written to and infected. In addition, changing the contents of the protected area is a multi-step process that involves creating/updating an ISO file that is then used to re-create the U3 area on the flash drive. USB Flash Drive Write Protection describes how the Windows Registry DWORD value WriteProtect in the HKEY_LOCAL_MACHINE\SYSTEM\CurrentControlSet\Control\StorageDevicePolicies key controls whether USB devices are writable or write-protected. A value of 0 (zero) allows writing to USB devices; a value of 1 blocks writing to USB devices. Changes may take effect after a logoff/logon, but will certainly take effect after a restart. There are several drawbacks to this approach: it might be possible for software to bypass it, it blocks writing to all USB devices, it doesn’t take effect immediately – it requires at least a logoff/logon and possibly a system restart and you have to undo your changes because it affects all USB devices not just your flash drive. Several applications (shareware and free) and instruction sets simplify the process of write protecting by filling up the disk by simply creating temporary files to consume all available free space on the drive. If there’s no space to create even a small autorun.inf file, it’s difficult to infect the drive since it won’t run items by default when the drive is connected to a PC. This is probably better than nothing since it will stop some infections, but it may also give a false sense of security – it’s not complete security. One of the several sites with instructions for this is Raymond.CC’s Create Fake Dummy File on USB Flash Drive to Enable Write Protect and Prevent Modification. I’ve seen instructions for protecting the files on a drive by reformatting to NTFS, then removing all permissions except a very limited set. Much like filling the drive to capacity, this may work against some malware but it’s not 100% protection. Setting this up also depends on the which version of Windows you’re running (assuming that’s what you’re using) – non-business versions may not provide access to the security settings needed, and non-Windows systems will likely either ignore the security or not be able to read the drive. This also makes it more important to tell Windows to eject the drive before removing it, because it’s more likely that Windows will be waiting before writing changes to the drive. Here are links to these drives at major online stores or price-checking sites (Amazon, Newegg, Google Shopping). Google Shopping may get you the best price by a couple of dollars unless you’re getting free shipping from Amazon (or have Amazon Prime), but you may have to poke around a bit. If I didn’t list a store, they didn’t have any of the products when I created this listing, this includes TigerDirect and Fry’s Electronics. I was not able to find listings for the Trekstor or Buffalo products. This listing is US-targeted; internationally check with your regular purchasing options. 2010-03-15 added Kanguru drives, minor text tweaks. Added drive speed information where available. 2011-08-07 Added note about PQI U339V line not supporting write protect, removed note about Amazon affiliate program (no longer available in my state). 2011-08-19 Added Transcend industrial flash drives which use USB communications but connect to USB headers on a motherboard instead of to USB ports. 2012-01-11 Added Opti3 / EasyDisk / EZDisk for some level of completeness. 2012-04-13 Revised PQI to note that most of the drives listed here were now discontinued following a report and review of PQI’s site. 2012-04-14 Cleanup, revised link to Imation Clip, verified RITEK links/products, removed some dead/inappropriate store links. The idea that the SD-card write-protect tab does not actually write-protect is just breathtaking! I mean, how could they screw that up? I suppose a real switch would be less reliable than a fake switch, but only if we do not care about write-protection reliability, which is the whole point of having the “switch” in the first place! But in the case of a USB card reader, said “host” may be the hardware USB controller, and not necessarily the malware-subverted OS software. Perhaps some USB card reader designs effectively *do* provide the hardware protection we seek. It is not clear to me how to prove (or disprove) that. Way back in ancient history, remember write-protect tabs or switches on floppy drives? They only worked on well-behaved software too. Actually, the drive electronics of nearly all floppy disk drives did prevent writing if the write-protect tab was present (or, for 8-inch floppy drives, if the write-enable tab was absent). The idea that the SD-card write-protect tab does not actually write-protect is just breathtaking! I mean, how could they screw that up? I think it is by intent. It only seems screwed up to the users. Those who perceive that they have an interest in preventing users from protecting themselves do this sort of thing non-stop. I just saw some information on a reasonably-priced ($20-25) USB hard drive enclosure with a hardware write protect switch. The ACARD ACP-2127 (via TinyApps.org)holds a 2.5″ SATA drive, but the website doesn’t have a lot of technical information. Does anyone have information on whether this is an actual write blocker or if it’s just setting a read-only flag for the operating system? There are multiple other such products available, but they tend to be both larger and significantly more expensive – they’re primarily sold into the computer forensics market, where it’s vital that not a single bit be changed on hard drives being investigated. I haven’t paid a lot of attention to those, but I don’t recall seeing any that were sized to be used as portable storage. Firstly, great article. Thanks very much for the info. They’re a little expensive (around $50), but they would do the job. Thanks much for mentioning these – they may be exactly what some folks are looking for & needing given the relative scarcity of write-protected USB flash drives. Worst case, drop a SSD into one of these and you’re all set (if a little bulky) and with potentially faster throughput than USB. Online reviews of these (or related items also from Zalman) appear to be pretty good as well. Have you seen the read-only version of the Addonics Mini DigiDrive, model AESDD12U2WP? It’s old but it works and it keeps viruses off my camera’s memory card. It’s still available for $27. Have you seen any other readonly Flash memory card readers? Saved my life with this article thank you!! I’m looking to protect my pc inside and out with a live cd or USB pen drive, a bios write protect a pci graphics card with write protect and sound with write protect. Is there anyone who could suggest hardware pci devices and a motherboard that will make this possible? just a suggestion maybe you should write an article that can make a pc 100 percent safe from all virii and firmware root kits..ect again great article! Thanks! I found this cnet review list with hardware protected usb’s, hope it helps. Thanks! They appear to have most of the same things I have listed here, but it’s good to know of another listing to keep an eye on. The only surprise was a Verbatim drive specifically for Macs, but that turns out to be a drive with Mac-specific software for encrypting part of the drive. The Imation Defender F50 Pivot 8GB photos I saw at newegg showed the write protect switch, and had the UPC of 26658. UPCs for the Pivot and Defender F50 are identical–Defender F50 is just marketing. I was curious about performance so I used crystaldiskmark 3.00 64b on my AMD SB600 on the Pivot, Slider, and Flashblu 2 8GB. The Slider has the worst configuration from the factory, and the Pivot looks like it has a somewhat weak controller since I could never match or exceed the original performance after formatting. After formatting away the factory offsets, offsets are either 1024 KiB, or 4032 KiB (Kanguru), filesystem is FAT32. On a related note, might you know of any providers of write-once, read-only USB drives, preferably in thin formfactor that would fit nicely on a keyring? Think of it as a LiveCD in a very small USB stick. Sorry I never posted a reply to this. I have seen one “giveaway” flash drive in a thick credit-card size format that showed up with both a writable and non-writable partition, but I’m not sure if it was software, hardware or a combination of the two nor do I know if it could be made bootable. It may be a case of partitioning the drive, writing a CD-based filesystem to one partition, etc. If you’re doing a large volume of these you can probably get them pre-burned on non-writable drives as a custom order. Finally, for small volumes you might be able to get away with using one of the drives listed here, but doing your own custom case for it and replacing the plastic outer shell with one that covers the switch. Just the info I needed. The 64GB PQI U339V doesn’t look like it has the write protect switch. Maybe you could re-word your section on this product line to make it obvious ? Done, thanks for the update! Transcend USB Flash Modules have a write protection switch. Thanks for this, I updated the list to include the Transcend USA website along with some notes about the drives (not truly USB drives like the rest of the items on this page). Alan, thanks for a great resource. I have a question, why do you think the manufacturers do not make many of these write protected drives? Ie SanDisk. do you think there is a specific reason for this? It’s not worth the additional expense to them – the number of people who actually use the write-protect switch on the drives is low enough that they’re not a viable market by themselves. If you’re not targeting to the small community that wants that feature, adding the feature adds a few cents per drive spread across hundreds of thousands (millions?) of drives, resulting in a manufacturing cost that’s a few hundred thousand higher with no significant increase in sales due to the feature. For the smaller manufacturers like Kanguru, I think they have a slightly higher-end reputation and possibly a more dedicated customer base, so their drives are “premium” devices that cater more to niche markets. When you’re catering to niche markets and priced accordingly, the incremental increase in manufacturing price is more acceptable because your better feature set is what brings customers to you – you’re selling a premium product not a commodity. Thanks Alan, you are right. But the difference between a commodity and a premium product will only ever be a function of perception. With the malware released into the wild by those who have a motive to do so (wouldn’t the multi-billion $ AV industry like us to believe anarchist pranksters are responsible) there isn’t an Internet cafe I’ve seen (and I’ve seen hundreds across four continents) with systems that aren’t crawling with malware. I disagree that the demand isn’t there for such basic, intrinsically-requisite functionality. I can buy flash drives with every conceivably ridiculous feature imaginable. I can go swimming with my waterproof flash drives. I can buy flash drives in every conceivable shape, size and gimmicky design; shaped like keys, footballs or a character from the Simpsons. But trying to buy aflash drive with functionality as basic as a hard read/write switch with an LED that indicates the drive is being written to; this is near enough to an impossibility in Asia I no longer have the stomach to bother searching in vain. The perception for demand is there. What isn’t yet perceived is the dark realities of commercial exploitation and optimality (as perceived by those who are driven to pursue lucre without the limitations of ethical liability). The difference between a commodity and a premium product is that a commodity product is (generally) produced as cheaply as possible for a market where the purchasers are very largely deciding based on sales price, not on other elements such as speed, write protection, etc. Features that are largely or entirely cost-neutral on the production side can be tweaked to differentiate the product (e.g. center swivel, end swivel, sliders, loose cap) but once those decisions are made they have a small to nonexistent impact on the per-unit cost. For a premium product, more expensive components and/or designs are used (e.g. a switch + some extra circuit traces). The additional production cost of these may only be a few cents per unit, but they allow the products to be sold at a higher price because of the differentiation. Examples beyond the write-protect switches include things like speed class on SD or MicroSD cards – people will get very excited and snap up cheap cards on sale, but will never even consider whether they’re class 2, class 4, or class 8 (or higher) because most of the purchasers A) don’t even know that those options exist or what they mean and B) don’t care. On the other hand, people looking for speed (e.g. professional photographers) are going to be purchasing class 10 cards and nothing but, and they’re going to pay a premium for them. Also, as far as demand levels, clearly there is demand for Kanguru’s products, but if they have as much as 0.5% (1/200th) of the world flash drive market I’d be surprised. This page and a couple of others linked from it are the only ones I’m aware of that really attempt to list these drives, and the page isn’t hard to turn up with searches, but I still only get a few thousand hits a month on it – in the 2.5+ years it’s been up it has yet to cross the 100,000 pageviews mark. Compare that to the total number of flash drives sold (globally or just in the English-speaking world), and you’ll see that write protection is a feature that’s very important to a small group of people, but most folks just don’t think about it at all. Many even in IT may not even realize that this kind of drive even still exists. With few exceptions, most of the manufacturers also don’t go out of their way to promote the existence of write protection switches on their products – that may just be poor marketing, but it may also be that they haven’t seen demand for that feature driving sales. As far as uk is concerned I’ve found this Swivel 16gb (http://www.amazon.co.uk/Imation-Swivel-Lanyard-Password-protection-Windows/dp/B001GT5FQ8) that in combination to an pdf describing imation reference ids (http://partner.imation.com/cdlpub/servlet/CDLServlet?p_file_id=12105) seems to be a hardware enabled read-only switch and a cheap one. Awaiting delivery to let you know. That looks like the older style of Swivel – if the one you get has the LED centered on the end instead of on the side and is black instead of grey, it’s the new style without the switch. That PDF is interesting since it also lists the Pivot as having a write-protect switch, but Imation’s [USA] web site no longer lists the Pivot – just the Pivot Plus. Just got them (Greek land mail is the definition of speed) after sending these to a cousin in London and then to Greece and happily these are the versions wanted, i.e. with the hardware switch. “DiskPart has encountered an error: The semaphore timeout period has expired. but Windows couldn’t read from the PQI U339 4GB drive anymore and I had to simply reformat it. “DiskPart has encountered an error: The media is write protected. and the data remained intact. I’ve been using the PQI drives for troubleshooting and virus removal for years, until they seemingly became unavailable from the major US vendors (Newegg & etc.) after which I found your great article and started using Kanguru USB sticks. I know this is an old article of yours, but I was hoping you could comment on my observation. Glad it was helpful – I update the article periodically based on what products are out there (or no longer so), but there hasn’t been much in terms of new devices lately. I’m surprised that the write protection on the PQI drive didn’t fully work, but since it’s presumably partially implemented in software on the drive it may be that some operations that modify the drive aren’t actually checking. It sounds like a mixture of Windows diskpart trying despite the write-protected status and the PQI drive not catching it. I’m not up to speed on USB drive connections, but I suspect that there are two parts – reporting the drive as read-only to the OS and rejecting any attempts to write to it if the OS ignores that information. 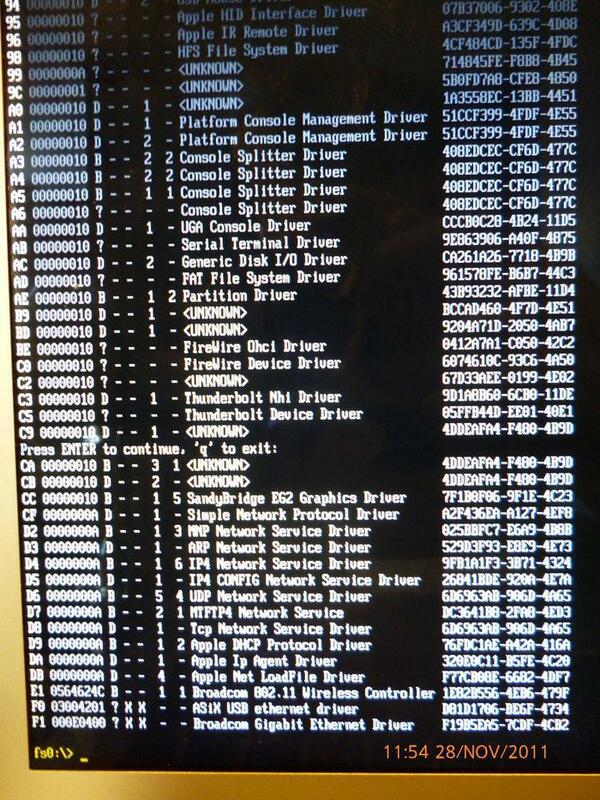 Sounds like only the first part of that happened correctly with the PQI drive. I’m a bit disappointed that the new USB 3 drive from Kanguru doesn’t include a write-protect switch, but perhaps if/when they release USB 3 drives in their Defender line they’ll add that feature. I appreciate your swift response and feel relieved that you confirmed some of my suspicions. Neither do I have a clue on how USB drive connections work or how write-protection is implemented, but had it not been for the slight error on my end, I would not have started wondering how well the write-protection really works. After all the main point of the “write-protection” is to prevent viruses and other malicious software from modifying the contents of the USB memory device and if “diskpart” can do it, I would assume that malicious code could do the same thing. I was also disappointed that the Kanguru USB 3.0 drives didn’t include a write-protection switch, but I assumed that was due to USB 3.0 not being quite mainstream yet. In my opinion the placement of the write-protection switch was better on the PQI U339, because it was tucked away in the rear end and you needed a paperclip to move it. On the Kanguru Flashblu II one has to be careful not to mistakenly move the switch during insertion/removal. I have found your blog after googling “usb flash drive with lock switch” and have read some of your other posts since. You don’t seem to post often like some of the other tech-gurus, but it’s the quality that matters and not the quantity. Keep up the good work! Sorry i do not the English version of the site, but the defense a mechanical write protect switch is exactly .. Thanks for letting us all know about this – useful for folks over there. I didn’t find any sign that these are available outside Russia & possibly other former-Soviet countries. I’ve added in the shopping link you included in a separate message. I did a little digging on the manufacturer’s site using Google’s translation and it looks like the Yin Yang is the only model with a write protection switch (and even that is based on the picture of the packaging and the almost invisible switch itself in one picture. Again, thanks for pointing these out! I don’t know what the market in your country looks like, but you’re probably going to have a hard time finding a write-protectable 8GB drive for under US$20 – it’s more likely to be US$25-30, and if you have to get it shipped internationally expect shipping to be quite a bit as well. Many of the models listed on this page should be available internationally; Imation and PQI should both be pretty widely available, and I suspect the Kanguru drives will as well though less so. Other than a few insanely priced examples on eBay, the PQU U339 series drives seem to be no longer available. The Google and Newegg links take you the pages that state the product is discontinued, and the few independent shops that claim to have them in inventory indeed do not, or so my emailing and phoning around has told me. Thanks, I’ll update to reflect this. I just went through PQI’s entire set of drive listings, and the only one still listed with a write protect switch is the base U339 – most of the others are gone, and the U339V (USB 3.0) never included it. I need USB flash drive (8/16/32/64) with combination lock (5 numbers each with 5 positions) to not just lock function but also when combination is set it also scrambles the data on the thumb drive. These functions can not be resident on the computer itself at all. All operations only to be on the flash drive they must not relate to anything on the computer it is plugged into except source of electricity. I think it’s very unlikely that you’ll find what you’re looking for. There have been (and may still be) some external hard drives with some sort of on-device passwording, but I’ve not heard of anything specifically like what you’re describing. Your best bet may be an eSATA portable hard drive where the drive itself supports encryption for what’s written to the disk. I say eSATA because I’m not familiar enough with USB drive mounting to know whether a USB-connected drive will support the drive encryption features. Even with that, it’s very unlikely that you’re going to have the ability to enter a password/code on the physical drive; best case you’d be prompted for it by the OS on the computer you were using. Failing that, you may be able to do something with either a bootable flash drive or a drive with software that loads a VM from the flash drive. Within that boot environment or VM, you could do your own encryption for the actual disk image file (including TrueCrypt). Searching for “boot linux vm flash drive windows” brings up some options for running an Linux VM within a Windows session with the VM resident on the flash drive; software options appear to include VirtualBox, VMWare Player and QEMU but I’m not sure of the current status of doing this. Back on Septemer 29, 2010, Jon inquired how to protect his BIOS, graphic card and sound card from firmware rootkits. I copied his inquiry below. No one responded to his inquiry, so I will. My abuser hired an investigator who hired a hacker to infect my BIOS, graphic card and motherboard of my four netbooks and my removable media with firmware rootkits. I spent thousands of dollars on computer security experts to attempt to remove the firmware rootkits and to write a custom hardened linux OS. One computer security expert recommended UEFI BIOS which is the new type of BIOS. I ordered a Dell business computer with UEFI. I returned it after I discovered that Dell misrepresented that their BIOS no longer had Intel vPRO and Absolute’s Computrace. 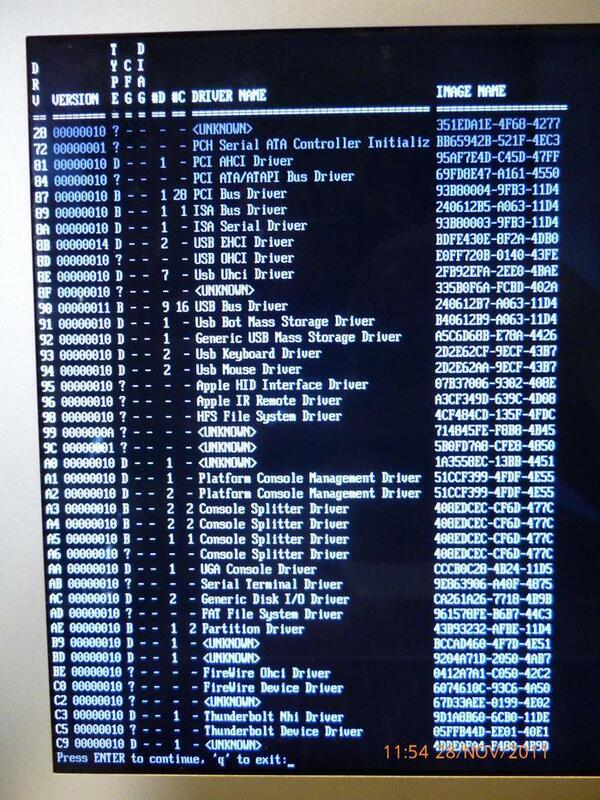 Unfortunately, hackers have hacked the UEFI BIOS. Thus, I am searching for an old laptop with a dip switch. In the 1990’s manufacturers installed a dip switch to protect the BIOS from a BIOS virus. Manufacturers no longer install dip switches. There is no protection offered to graphic cards, sound cards and the motherboard. Absolute’s Computrace, Intel’s AMT (AMT is in vPRO but can be independent of vPRO) and AMD’s DASH gives a backdoor to “IT administrators”, government and hackers to easily and sleuthly hack into computers virtually undetected. Originally installed on business computers, apparently, home computers now have some type of version of AMT or DASH that is not listed in the specification sheet of the laptops. I am searching for an old laptop prior to Intel’s AMT and AMD’s DASH. Hi. Thank you for this list. I choose the Imation Swivel. I bought it on Amazon since it’s impossible to find it in France. Thanks for a nice list! A simple sticker or a piece of tape would do wonders I guess. On the bug that was mentioned that it may be partitioned even while “write-protected”, this is not really a terrible important bug. The (to me) most important feature is that it can be inserted into any pc, without risking it getting effected by malware. If it get erased, well I’ll just have to rebuild it with the batch-file I made for the same purpose, while I do something else. I’ve found Kanguru website has a NEW USB3.0 drive with External write protect switch if anyone is looking for speed transfers like I am. Thanks for maintaining this list, much appreciated. I bought a PQI a few years back (I think the U339) in order to deal with fixing friends systems that had been infected/rooted..
Load up fresh set of tools, flip the switch and then use that to get them onto the infected system without fear of it trying to infect the flashdrive. Great to have this to refer to when I need to send someone else (like my stepson, about to help out an infected friend) on the other side of the country..
Great website. Been looking for just this info since I started working with Windows computers recently. @domesticviolencevictim. Try taking a look at Apple hardware. For good or bad they don’t have anything like vpro build into the firmware that I am aware of. The new ones have firmware that allows for a restore over the Internet but not sure what tech it’s based on. You can run one of the as a full windows or Linux computer. You pay a small premium compared to equilivant PCs but it should be a lot less than the thousands you have paid consultants so far. Try taking a look at Apple hardware. For good or bad they don’t have anything like vpro build into the firmware that I am aware of. The new ones have firmware that allows for a restore over the Internet but not sure what tech it’s based on. You can’t restore Apple’s firmware over the Internet. It is a documented fact that they go out of their way to make flashing recovery firmware an near impossibility for users. I bought a late ’11 MBA and it lasted one day before crashing under a DDOS onslaught (the SDD filled up with files faster than I could delete them; this is with all networking ostensibly deactivated). Using rEFIt, I had a look underneath Lion. Dozens and dozens of pages of driver images; 1/5th of which were labelled “UNKNOWN”. I tried to get that firmware flashed for months. Never managed to convince an Apple tech to do it. The machine’s logic board caught on fire in the end, just started smoking & that was it. Apple warranties don’t cover that (apparently). Not sure what my $400 AppleCare policy covered, but who cares. Approved this because it’s an interesting thread – folks are looking hard enough for this feature that they’re digging into which leads/connections on the controllers are used to control write protection. You mention that the Trekstor can be ordered custom printed but the link just goes to the same product page – have you a link for where I can get custom ones ? Looks like they’ve redone their (German) site and probably eliminated that option. The Kanguru FlashBlu drives are still available with custom engraving; if you go to the FlashBlu page (https://www.kanguru.com/index.php/flash-drives/basic-flash/kanguru-flashblu-ii) there’s a “Custom Engraving” link on the right side of the page where you can contact the manufacturer for a quote. The 2.5″ SATA HDD enclosures, virtual ROM drive with USB 2.0 or USB 3.0: iodd2501, iodd2511, iodd2513, iodd2531 and Zalman ZM-VE200, Zalman ZM-VE200 SE, Zalman ZM-VE300 (rebranded i-odd) have a write protection switch and a harddisk mode. They are not that expensive, the Zalman are about 30 euro. A half-size SDD and handy use of a hacksaw can give you a quite small portable USB drive with a write protection switch. The Password Lock USB Memory Storage looks like a micro-feature phone that has a USB plug. It has an LCD display and a standard number pad set in the main body of the device. There are no details given on how passwords are made and saved, but it is capable of storing 8-digit passwords in it. When it is plugged on a PC, it can automatically disconnect properly after a set time period (5 to 20 minutes). The device can tolerate up to 6 wrong password inputs, and if it goes over the limit, it will start reformatting the unit, erasing all data saved inside the device. As for its technical specs, its storage capacity is 8GB, supports USB 2.0 connectivity and weighs at around 22 grams. This sounds like what Larry was looking for back in May; not sure if he’s still seeking it. I thought I’d seen something once before that allowed setting a PIN code and it turns out I probably have – searching turns up the Lok-IT drive (http://www.lok-it.net/) introduced in 2010 and apparently still around (their blog was updated just a few days ago) as well as a “Generic” with a part number of CSD-8300 that apparently has similar features with no company information associated. There are also product from Apricorn (http://www.apricorn.com/) with similar features for USB flash or SSD drives. The biggest problem with devices like this is that they address a different problem – if I unlock my PIN-protected drive and plug it into an infected system, it’s still just a writeable USB flash drive that can be infected. I’ve not seen any of these that indicate that you can enter a PIN and have it decrypted but read-only. Is there actually any documentation or manufacturer statement available to indicate, that the write protection on mentioned USB flash drives is implemented in a more secure way than on SD cards, independent of the operating system? Couldn’t it just as well be another case of only flagging the device as write protected, which the OS might ignore? Thanks for this insightful page ! I needed a hardware-lockable USB drive to put some network/security tools that are often destroyed by common antivirus software, and I could not find ANY in the dozens of computer shops accross the Montgallet or Charenton streets in Paris (no kidding, there must be more than 30 on them, the district is famous for this) ! But thanks to your advice, I could find a cheap (18$) 8GB flash drive from TrekStor at Amazon. After several tests on Windows & Mac systems, I confirm that the TrekStor CS works as expected. The performance was not so great, especially in write mode (5 MB/s, 20 MB/s for reading), but the main feature is what we buy these devices for, right ? I think I will buy another one after some more days of testing, so as to have a spare. I’m actually a little behind on doing some page updates, but as a quick note Kanguru now has a USB3.0 drive with a write-protect switch. They’re somewhere in the middle of redoing their website and hosting, but all of the information is there. Even if you don’t have a USB3 port, I suspect that the drive will be faster in daily use since the drive itself supports higher read/write speeds than USB2.0 can handle. USB3 with write protect switch from Kanguru. Forgive me if I’m being simplistic here but how hard would it be to find a body handy with a soldering iron to make suitable adjustment to the pin wiring on any stock no-write-protect 2.0/3.0 UFD? Thanks for persisting with this topic, one of considerable importance to us all. We forever get a responsible floppy to usb with North india nation to resolve laptop issues, however what if a PC’s BIOS won’t allow us to boot from USB?there\’s the simplest way which can assist you to form use of CD as well from USB.drive. The relatively new series of “PQI USB3.0 Nano” in 16Gb…128GB, with claimed 100MB/s write and 190MB/s read speed have a write-protection switch. I just ordered one. I can’t believe how manufacturers are not included the PHYSICAL write protection switch anymore. So.. are there only a few smart people out there who use these things for virus busting or boot disks. !?! Also the pricing is mad for a stupid switch but anyway. Kanguru SS3 USB 3.0 Flash Drive with Encryption Protection Brown brown 16 gb for £30 something – which is cheaper than ebay! Kanguru Solutions 32 GB SS3 Flash Drive USB 3.0 with Write-Protect (KF3WP-32G) for £60. Kanguru SS3 USB 3.0 Flash Drive with Encryption Protection Brown brown 64 gb for £100 – dam expensive. Use link or just search on Amazon..
Hope this helps as there are almost no new articles about this type of true physical switch usb stuff. I’m no EE, electronics hobbyist, etc – I’d been operating under the (naive) assumption that write-protect switches enable/disable a conductor/line that a write signal is sent over. Seems I’m wrong. Does anyone know if there are flash drives with write-protect switches that function in the way that I descibe? You would think these things would be popular with the IT technician crowd. Really good for carrying your utilities and plugging into unknown PCs. While there is no mention of a write protect switch in the description, one is clearly visible in the gallery. I have asked TrekStore to add said description. On a whim, I cracked open several USB flash drives. These were generic ones that I got at seminars, etc. One of them actually had a footprint on the small PCB for a switch. I looked up the datasheet for the controller (a Chipsbank CBM2091), and it identifies the pin on the IC that controls the write protect function (pin 27). After much looking, I ordered the correct switch from Digikey and traced the circuit to remove a 0 ohm resistor and replace it with a 1K ohm resistor. The write protect works on that one now. The other drive didn’t have a footprint for the switch, but the controller was the same. I epoxied a switch to one end, lifted the WP pin of the IC, and soldered in some wire and a resistor – that one works OK now, also. I think that you’d be able to modify all but the smallest USB flash drives to restore the write protect function. I wish the manufacturers would keep that function around on these. It’s very handy if you want to keep it from getting infected or to prevent some zealous anti-virus software from wiping out some useful utilities that cause false positives. You are a smarty pants, wish I had thought of that. Being an electronics wizz myself I know what you are on about. That one looks a little hard to find, but I like how they appear to have the switch. Thanks! It’s very easy to find it on AliExpress. Price is pleases too, very cheap device. pqigroup.com sells USB 3.0 stick model Nana with write protection switch at the end. and to follow up on this more i once owned a mobile device called “open pandora handheld mobile pc” this device has dual SD slots and it intentionally ignores the fake lock switch as a protest to the industry. enjoy all. Any chance to get this updated for 2015? Yes, it’s on my list of things to do – among other things Kanguru now has a variety of USB3 flash drives that I need to get included in here. Futhermore, I have seen the hold switch function as a write protection switch on portable mp3 players (for example, the usb stick shaped mp3 player: em640aa ). I bought AGIO L8202 for a teacher. He regulary got infected from school PCs, so we put an end to it with this flash drives. The only one I could find in China with reasonable price – AGIO L8202 – 8G,16G,32G with R/W switch. Good info and as I was looking into finding a good USB hardware write protect I figured that a USB Card Reader with Write Protect would be better. Other than the very pricey forensic versions there is not a small card reader on I could find. If anyone knows where I can find a small usb card reader with hardware write protect please pass on that info. Cheap SD cards plugged into one of these is much cheaper than purchasing multiple USB drives with HW write protect. If you want to protect ANY usb flash drive or ANY external hard drive at low price, than there is a solution, the “usb-dome” (www.usbdome.com), a hardware shield able to give write only access to any removable storage device like your usb stick or backup hard drive. More over, the usb-dome prevents the execution of dangerous file (.exe, .inf, .bat, .vbs, …) from withing these drives which will protect your PC at the same time. Interesting, if this actually becomes available as a live product it may be worth getting. Quick summary, 4 versions with different capability levels. All are USB2-only, because they’re basically acting as a separate device that the flash drive is plugged into. The simplest simply prevents writing to the drive; the other 3 all have a selector for protection level with options of “no protection,” “prevent writing” and “prevent writing and prevent executables from being properly read from the drive.” If reliable that last one seems like it’d be useful for anyone who needs to be able to check what’s on unknown flash drives which can sometimes be a risky thing to do. Higher models can also prevent access to anything on the flash drive that’s not in a “Public” folder, but I’m not sure I see as much use for that. Effectively this is a very tiny specialized computer that acts as a middleman between the PC and the flash drive. IM NOT THE ONLY ONE WHAT WANTS ONE OF THESE FOR THIS REASON!?!?!?! Is the Brand: KANGURU Mfr Part #: ALKFB308G, the Kanguru 8GB FlashBlu30 USB 3.0 Flash Drive w/ Physical Write Protect Switch, a truly physically write protected flash drive suitable for RO use by field technicians? Yes, in my experience with all of these drives that’s how it works.